I sewed one of the LSU cotton fabrics as a sashing between each t-shirt. 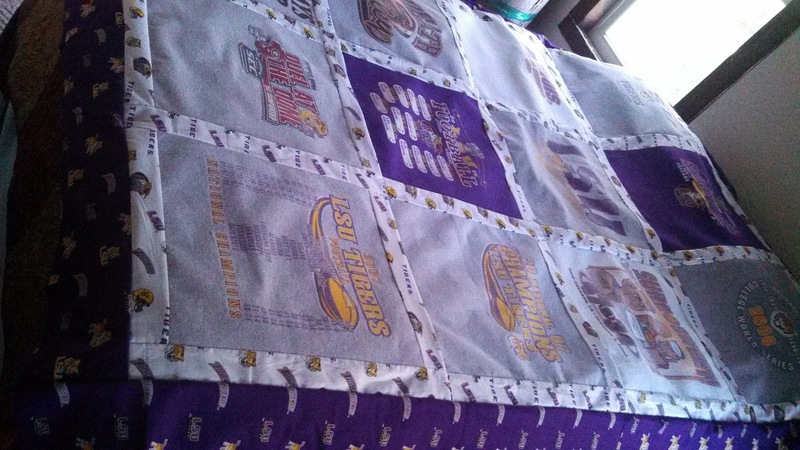 I used the second LSU cotton fabric as a larger border around the quilt. 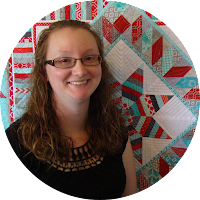 My mom had recently had a very large king size quilt machine quilted by Kathy Michel, a longarmer that lives about an hour from me. I decided to let her quilt this one too! 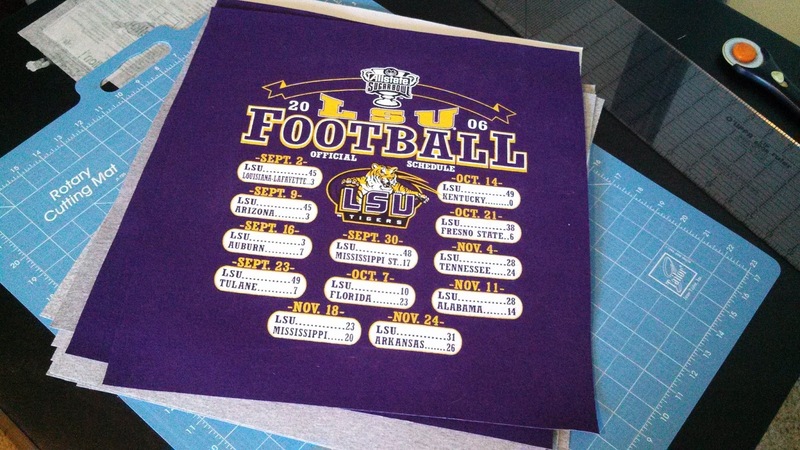 I finished the top on October 28th and took it to Kathy a couple days later. I used the LSU fleece as the backing for the quilt. It needed to be slightly wider, but not much. Instead of doubling the width of the fleece, I decided to cut the fleece diagonally. Then I moved one of the halves down until the width was what I needed, then sewed it back together along the cut edge. The method worked perfectly! 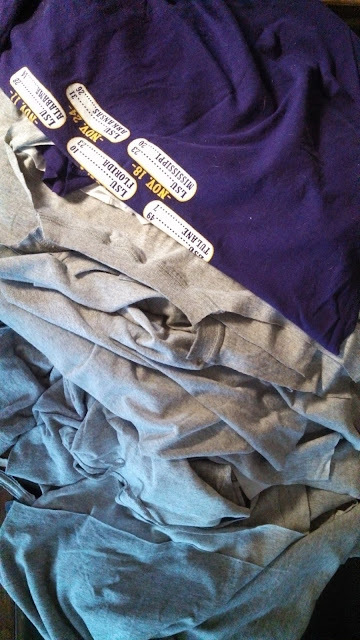 I decided that the added weight of the interfacing and fleece backing wouldn't require batting, so I didn't add any! Kathy quilted it with an all-over loops design. 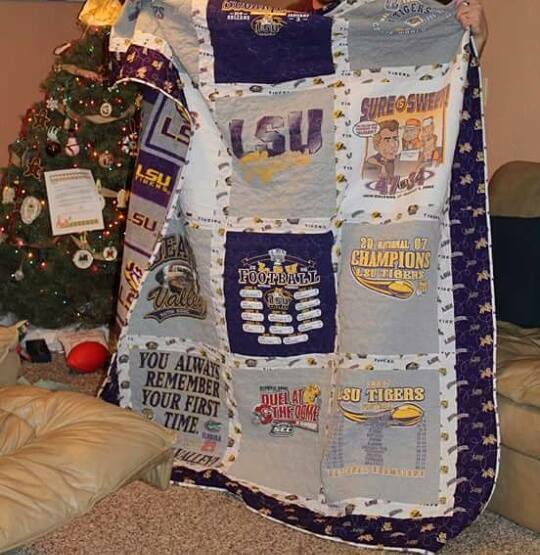 I received the quilt back on December 22nd. 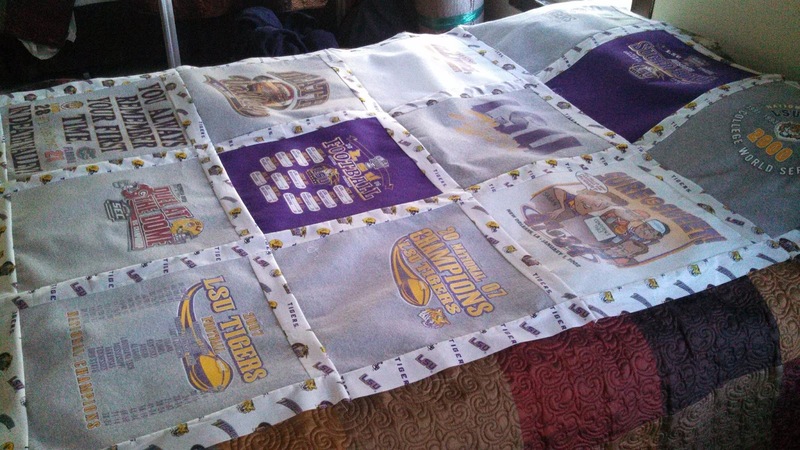 The weight and feel of the quilt was exactly as I had hoped! I immediately started binding it so I could gift it before the end of the year. 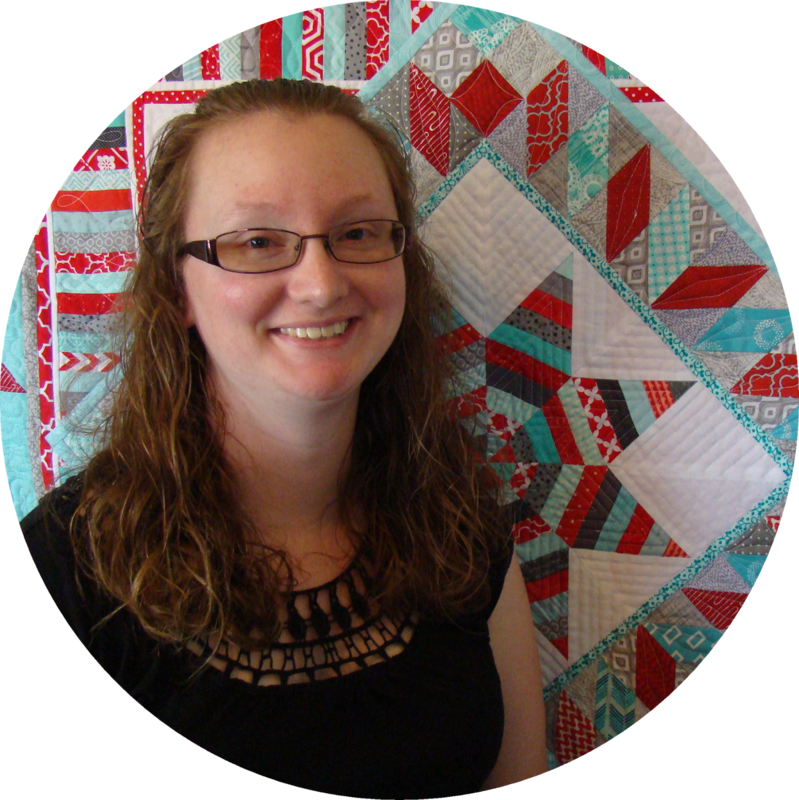 The quilt was finished December 26th! Matt absolutely loves the quilt! 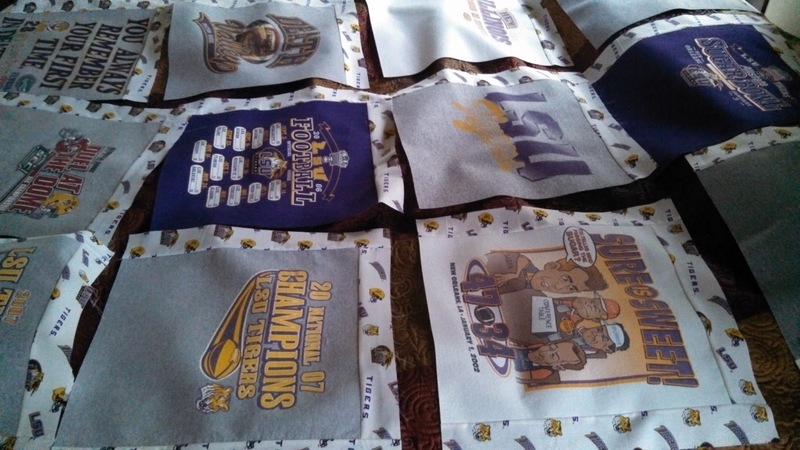 His family uses it regularly as a throw quilt in their living room.